It's no secret...creating and selling online courses is one of the best ways to make money online. Don't get me wrong...we all have to earn a living. But what if we could do it on our own terms? What if we didn't have to fit the mold of the daily 9 to 5 grind? What if there was a better way? Building and selling online courses is not only pure profit, but there are other factors like lifestyle and independence that make this business model so attractive. What if you could choose when you begin work, when you take a break, and when you take a day off? Is it fear that prevents you from taking the plunge? What if your time wasn't directly related to your work effort. What if you could build assets that would in turn earn you money no matter when or where you work as opposed to trading time for dollars? 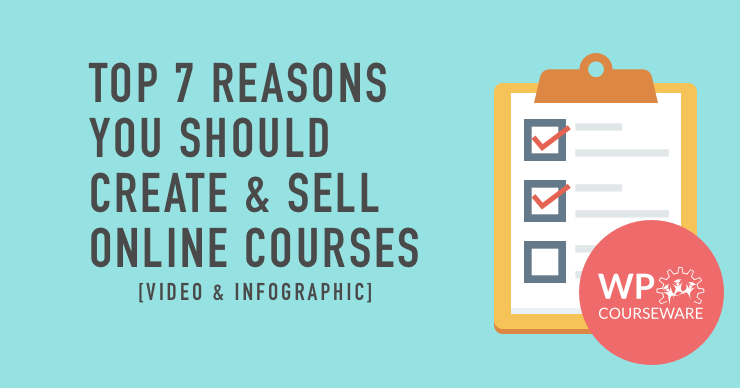 In this video I will answer all the questions above by sharing the top 7 reasons you should create and sell courses online. I will give examples and real stories to support these reasons. And please subscribe to our YouTube channel where we share tips and strategies for building online courses!